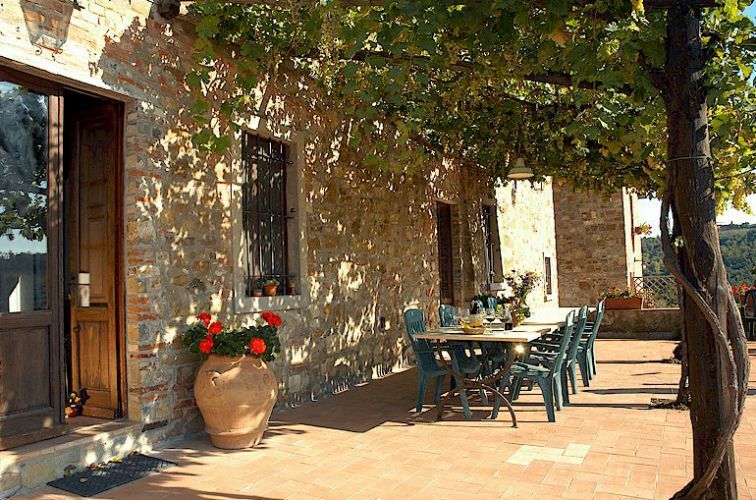 Agriturismo Patrizia Falciani is a Tuscan agriturismo with apartments for 2 to 6 persons, and is one of the longest established agriturismi in the area of Greve in Chianti. The seven self-catering apartments each have a small private terrace or garden for dining al fresco and all have access to the swimming pool. 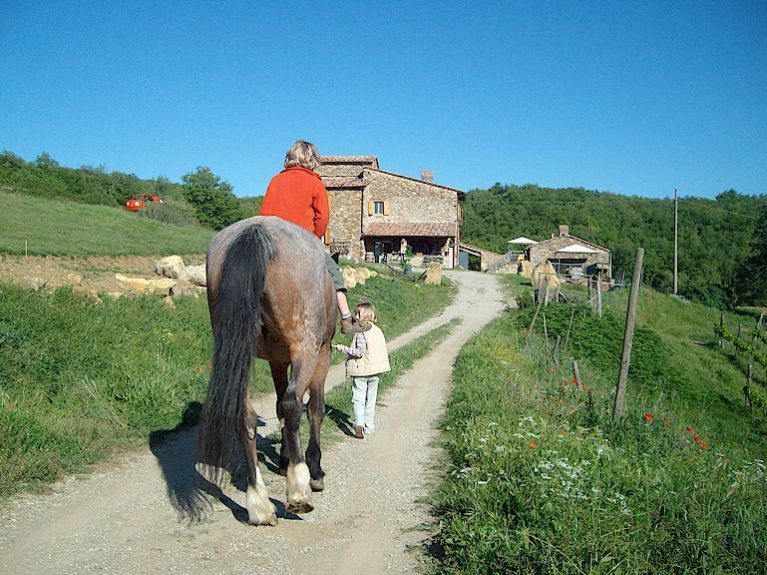 There are panoramic views in all directions over the surrounding vineyards. 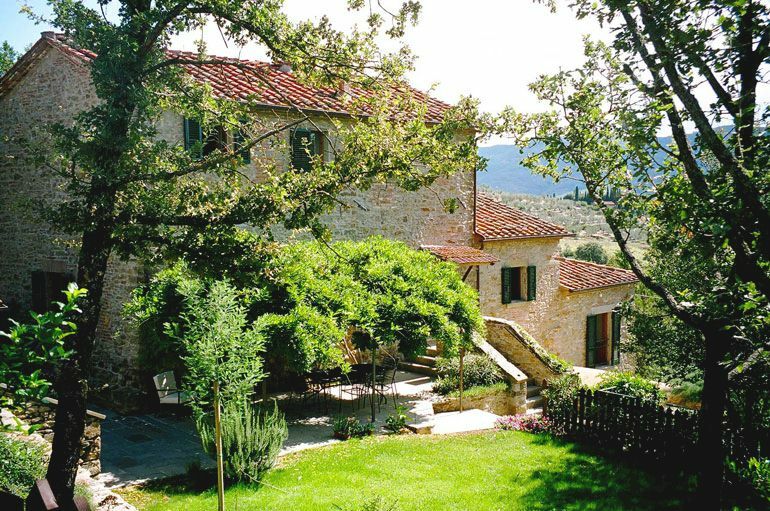 These holiday apartments form part of two farm buildings about one km from Greve in Chianti which in turn is 30 km from Sienna and 25 km from Florence, about 45 minutes drive in both cases, along the scenic Chiantigiana highway. There are numerous restaurants in Greve itself and also restaurants, often with lower prices, dotted around the countryside. The Coop supermarket in Greve sells cooked food as well as cold cuts, cheese etc. for those who prefer to dine at home but who don’t want to cook. Florence can be reached from Greve by buses that run several times a day. 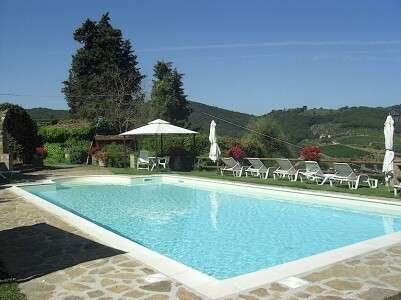 More about Agriturismo Patrizia Falciani for your Tuscany farm house apartments vacation.